We are interested in a wide number of topics including the ecology and genetics of floral evolution, the effects of pollinator diversity on plant reproduction, the speciation process, the functionality of pollination networks, etc. In this project, funded by the Fundación BBVA (PR17-ECO-0021), we evaluate the consequences of the expansion of weeds associated to human environments on the arid vegetation from the Iberian Peninsula. 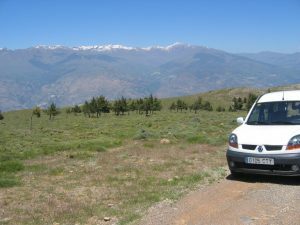 The specific goal is to check whether the presence of the ruderal species Moricandia arvensis is having a harmful effect on its three co-generic species endemic to arid habitats, namely, M. moricandioides, M. foetida and M. rytidocarpoides. 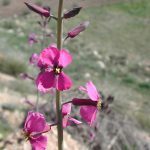 In this project, we analyze a close related group of taxa included in two species belonging to the genus Erysimum L.: E. incanum and E. wilczekianum. Although both species share many phenotypic and habit similarities, they strongly differ in floral sizes and pollinator assemblages. Ecological and genetic processes producing speciation: the interplay between hybridization, poliploidy, and local adaptation in generalist plants. PREGEPES is a scientific project funded by the Ministerio de Economía y Competitividad. The main goal of this project is to investigate how species evolve and lineages diversify as a consequence of generalist ecological interactions. For getting this aim, we will focus in one mage-generalist interaction, the pollination interaction between Brassicaceae species and their floral visitors, focusing on Iberian species. The main aim of this project is to explore the occurrence of pollinator-mediated structured generalization, the factors favoring or cancelling it, and their potential evolutionary and functional consequences. 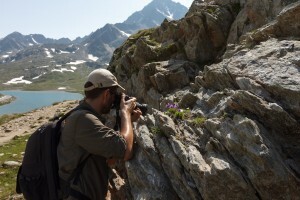 The aim of this project is to implement genetic and ecological techniques to the rigorously identification of species in highly diversified groups of taxa (species complex, syngameons). Flower form is widely considered as an adaptation to increase the interaction with the most efficient pollinators, expressing both at microevolutionary (flower form affects plant fitness) and macroevolutionary level (inter-specific differences in flower form correlated to differences in pollinator assemblage). The Geographic Mosaic Theory of Coevolution is a central theory in evolutionary biology nowadays. Most information, however, comes from specialized organisms. In contrast, an accurate understanding of the effect of geographically varying evolutionary dynamics on the evolution of generalist organisms is lacking, although these organisms are the most frequent in nature. Our lab is currently working in the consequences of the spatial variation in selective regimes for the occurrence of geographic mosaic in generalized pollination systems. The role of biological diversity in maintaining ecosystem functioning is a central issue in ecology and conservation. Most studies on diversity-functioning relationships have focused on ecosystem and community levels, but a challenging and still unsolved issue is determining whether it can be generalized to other organization levels, such as populations and individuals. In our lab we are currently exploring this question both from an experimental and a theoretical perspective. Pollinators can drive adaptive speciation in some plant groups. Accurately determining the role of pollinators in mediating plant speciation requires an integrated approach where microevolutionary studies focusing on the analysis of pollinator-mediated selection be complemented with macroevolutionary studies exploring the evolution of floral traits between phylogenetically-related species. In our lab, we are using this inclusive approach in order to investigate the possibility of adaptive speciation between Erysimum mediohispanicum and E. nevadense. There are increased interests in studies of invasive species due to possibilities of some invaders having strong negative impacts on natives. 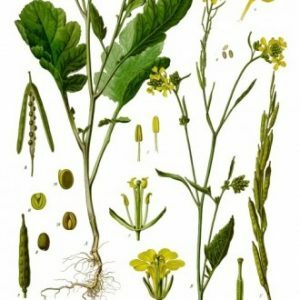 We are presently using Brassica nigra (Brassicaceae), a native of the Mediterranean region, as a model plant to investigate ecological and evolutionary mechanisms that enable it to invade North and South America.